Another year, another amazing line-up for the Hennessy Artistry, and this time around - it's a duo. 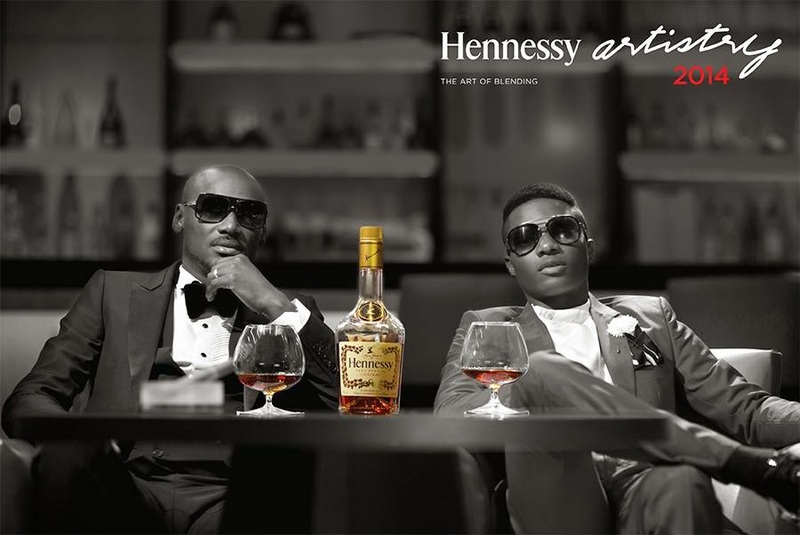 This year Hennessy Artistry have announced a musical treat for fans that they promise to be one to remember. Teaming up for their first song ever on an incredible project is 2face Idibia and Wizkid. The announcement came earlier this week and has had social media platforms and blogs anticipated for the collaboration. Since the Hennessy Artistry was announced in 2007, the likes of Tiwa Savage, Banky W, MI, D'Banj and legend Shina Peters have all headlined, and this year is looking like their biggest one yet. The best one yet? We'll have to wait and see, but my senses are telling me it's going to be a good one. Speaking on the project, 2face said "Great things!! Eau di vie... We getting it this year!". Whilst Wizkid took to his Instagram account to share his excitement and joy to be finally working with the legend that is 2face saying: "This year's Hennessy Artistry is going to be massive and I am really privileged to be working with legend, 2face Idibia... I can't wait to get into the studio with him!!! Watch this space!" It was smiles all round for 2face Idibia and Wizkid who seemed to have had a good time recording the song and shooting the official campaign photos at the photo shoot (footage seen below). Both looking dapper in their suits, we can only be patient and wait for what the duo have cooked up for us.